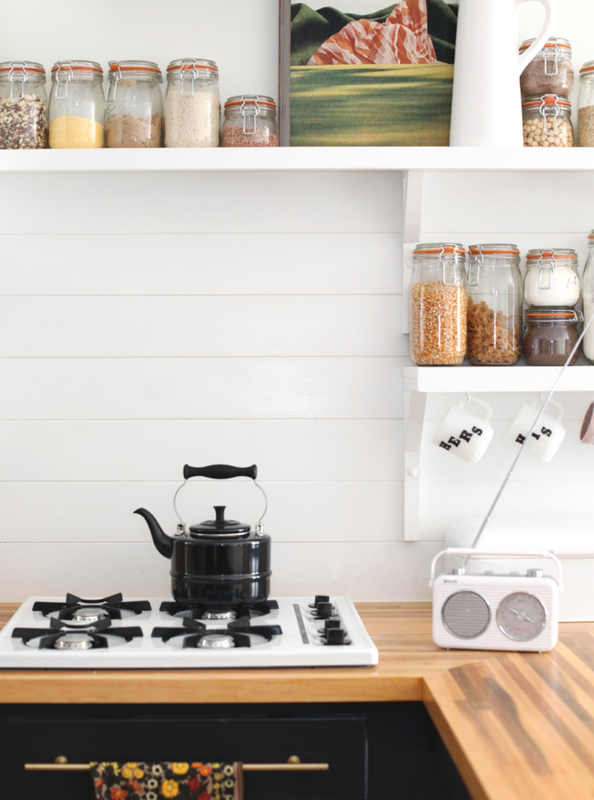 Yes, that jaw-dropping white subway tile backsplash is a DIY. 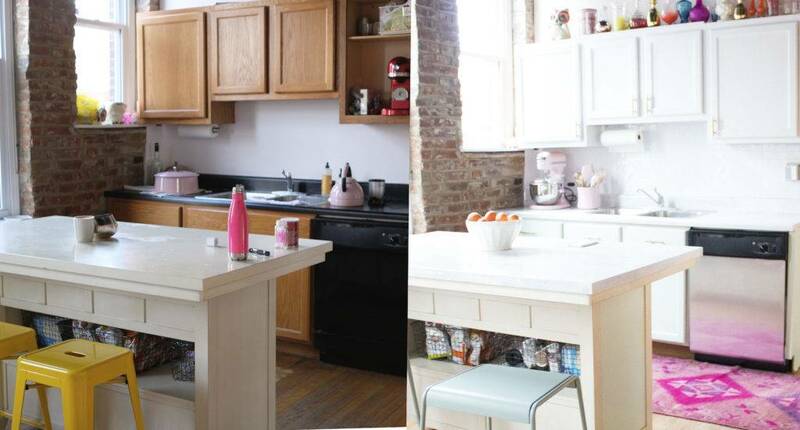 Designer Abby from Daily Disco used this peel-and-stick tile from Amazon to transform her kitchen. Ok, she clearly did a few other things too (helloooo, amazing pink rug! 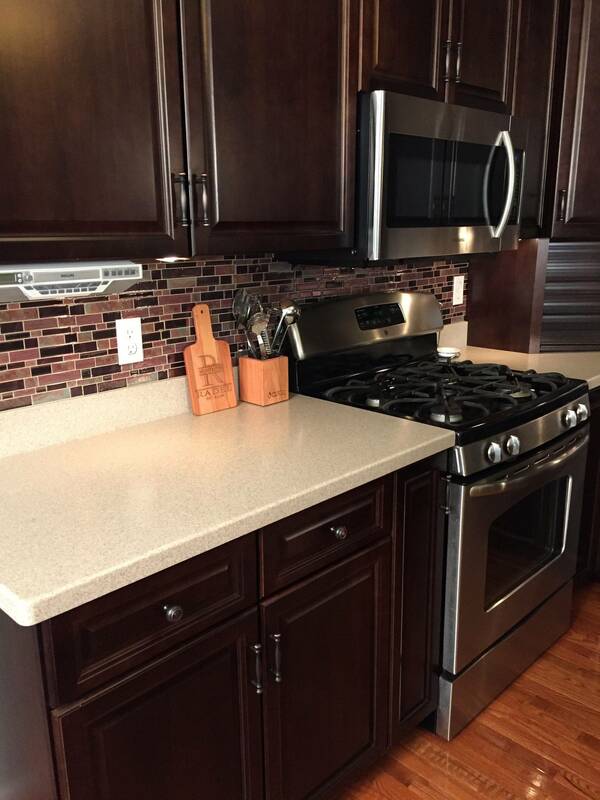 ), but the removable backsplash alone makes a huge difference, and you don't have to be a professional contractor to do this yourself. Peel-and-stick tile is definitely the easiest way to DIY your kitchen backsplash. If you can wrap a present with somewhat straight lines (admittedly a challenge at times), you can install peel-and-stick tile. It comes in an almost overwhelming array of styles. And, most importantly for our purposes, the "tile" can be removed when you move on to your next heinous rental apartment. Inexpensive and renter-friendly! 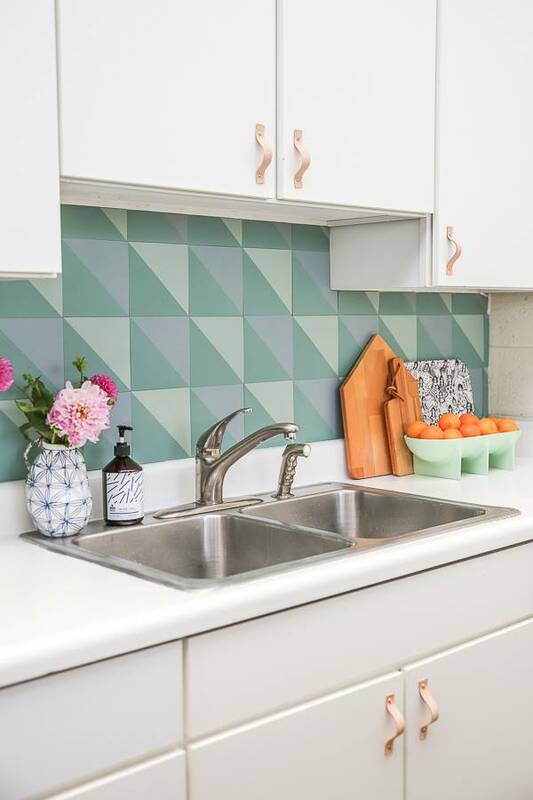 Melodrama's DIY backsplash makeover with peel-and-stick tile is another example of how you just can't go wrong with the classic, white subway tile look. This removable backsplash redo on RoomMates shows that you can get a completely different look and style using peel-and-stick tile. While not quite peel-and-stick, Sincerely Sweetpea's renter-friendly backsplash makes use of a similarly removable product, Facade Backsplash Panels. And my personal favorite of the bunch: the bloggers behind Atelier de Curiosite made over their Parisian kitchen using white hexagon peel-and-stick tile. Can a rental kitchen get any dreamier?? Look out: there are two types of products on the market both called "peel-and-stick tile." For the removable kind that's good for renters, you want 3D sheets that look like tiles; NOT individual tiles that require additional glue. Check out these links for some options! We live in a truly magical age. An age where things can be sticky, and not sticky, as we wish. 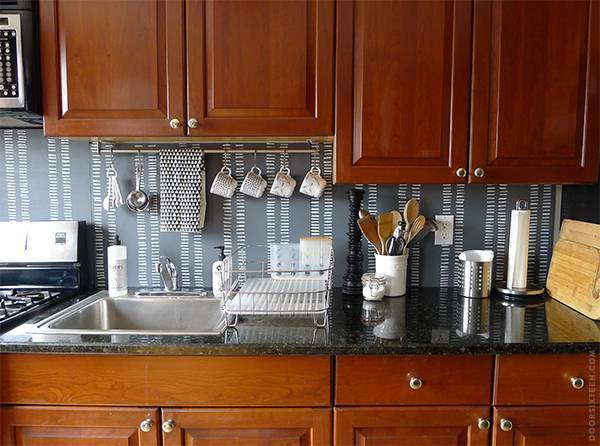 That's why this other peel-and-stick trick, removable wallpaper, is another great DIY renter-friendly backsplash idea. You can simply stick it over your hideous backsplash for a year or two, and pull it up when it's time to go! 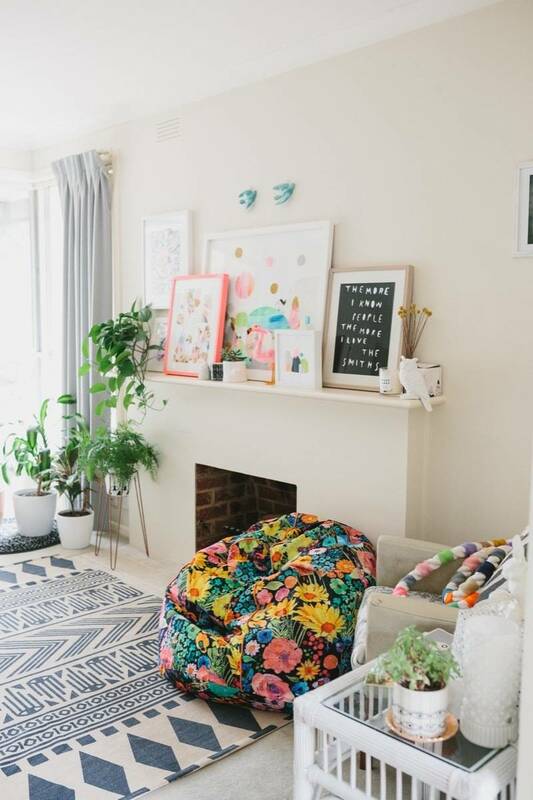 Chasing Paper has a truly endless selection of removable wallpaper prints to choose from, and inspiring images to get your ideas rolling (Sorry not sorry for sending you down that beautiful rabbit hole). Botanical removable wallpaper makes a bold and beautiful statement in Apartment Therapy writer Anna Spaller's rental kitchen. This mid-mod removable backsplash only cost $30 thanks to peel-and-stick wallpaper. Our own M.E. 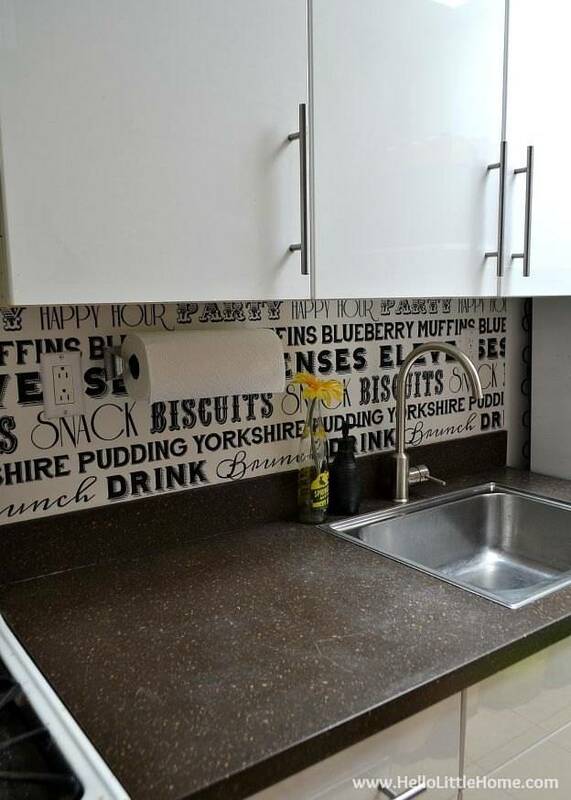 used removable vinyl wallpaper to update her kitchen backsplash! 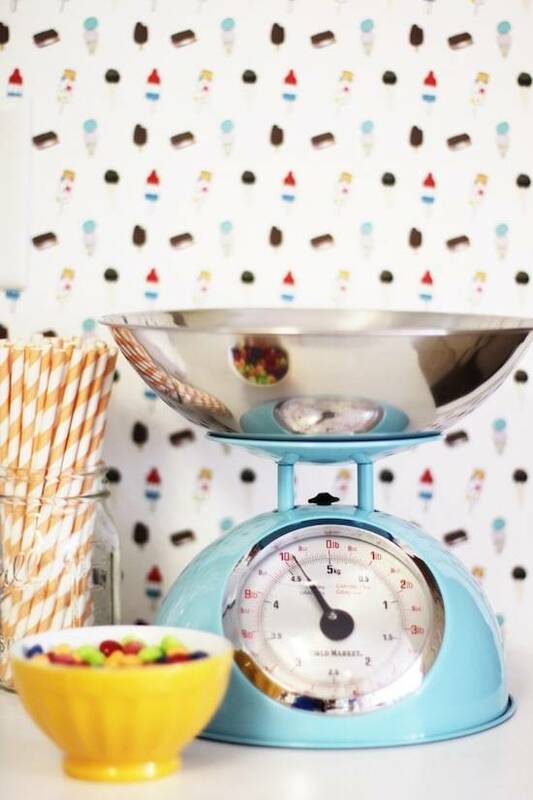 This inventive blogger shows how she was able to make her own custom temporary wallpaper using contact paper. Seriously the smartest use of contact paper I've ever seen. Guess what: Contact paper is just cheaper removable wallpaper. Mind. Blown. Love the look of marble, but not the price tag? Contact paper to the rescue! Including "paint" in this roundup might be cheating a bit, since not all landlords will allow their tenants to paint. 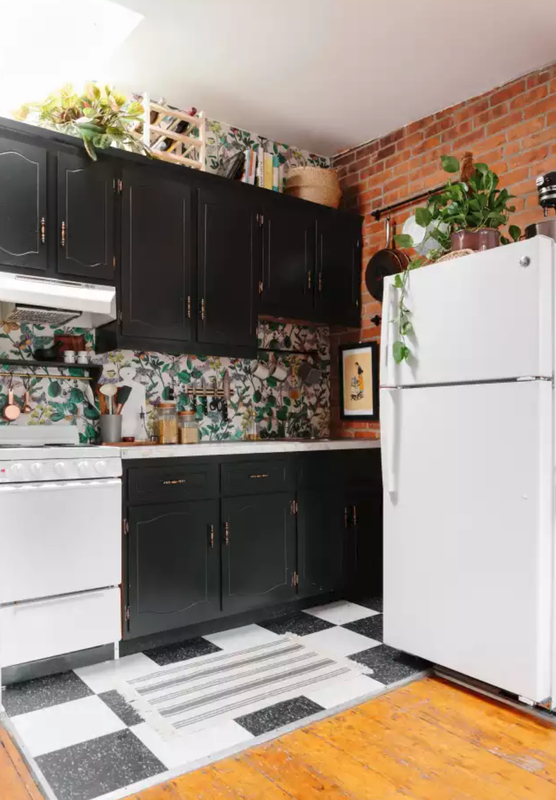 But for you lucky renters who are allowed to paint, you will just die over all the ways you can makeover your kitchen backsplash using paint (like the DIY herringbone tile backsplash above!). If your landlord is hesitant about you going at the kitchen backsplash with a paint roller, offer to paint back over it when you move out. OR, you can always try the "ask for forgiveness, not permission" tactic, just don't hold me liable if you don't get your security deposit back. And for those of you who can't paint in your apartment, don't worry, I've got a workaround for you later on! ...or designer C.S. Valentin's charming version. Here's a DIY renter-friendly backsplash idea which doesn't even require you to break out all the brushes and rollers. A Beautiful Mess created this DIY herringbone tile look with just a paint pen and a ruler (and, a lot of patience). 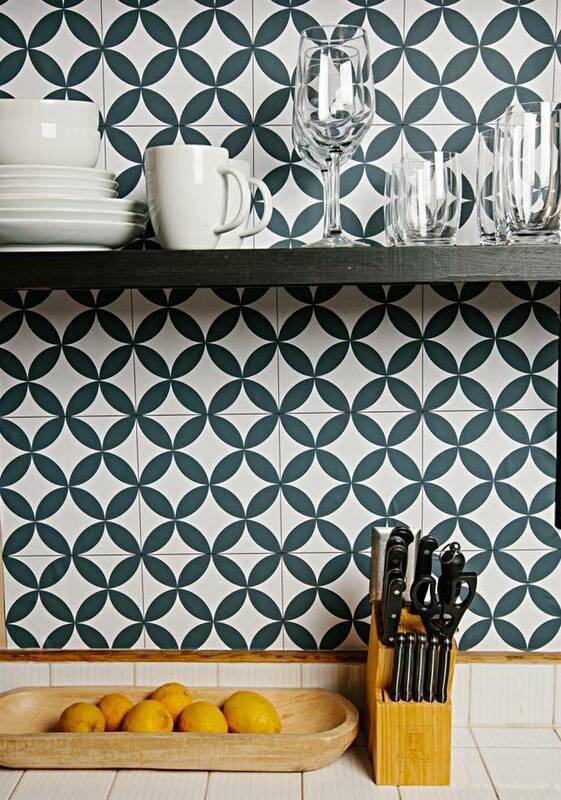 Try using cement tile stencils in a muted palette to paint your DIY backsplash. 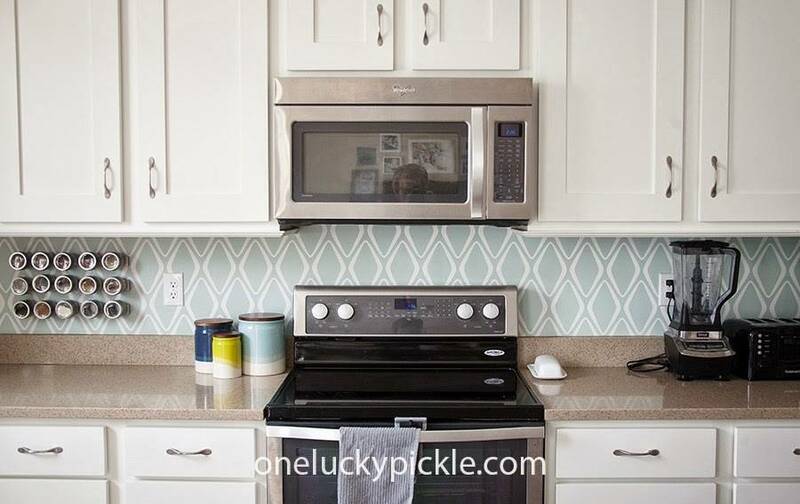 Or follow this ambitious DIYer's faux glass tile backsplash tutorial! And did you know you can actually paint over existing tile? Renters who fall into the woefully tragic category of Being Unable to Paint, rejoice! You can still make a custom DIY painted backsplash using this workaround: paint -- or even tile -- a removable panel instead. Food 52's Alex Kalita created her renter-friendly backsplash above by tiling a small plywood board. She then mounted the board to the wall with a French cleat. All very accessible, and very temporary. 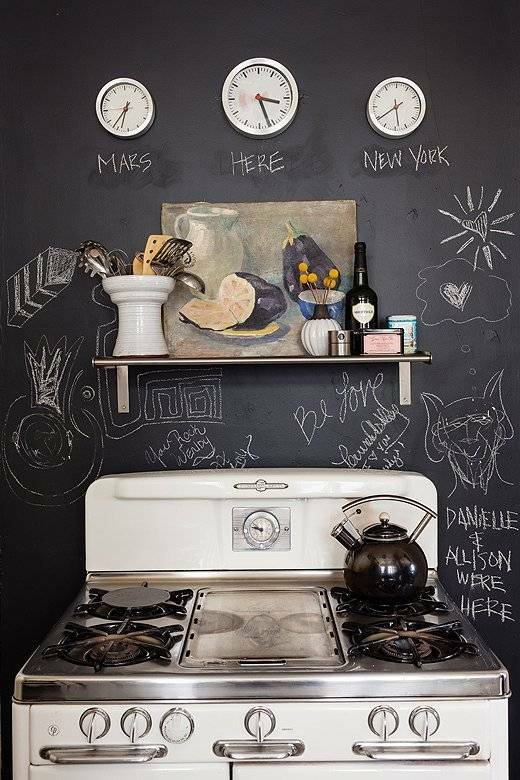 Anna Dorfman puts this technique to creative use with her graphic painted backsplash in her rental kitchen on Door Sixteen. 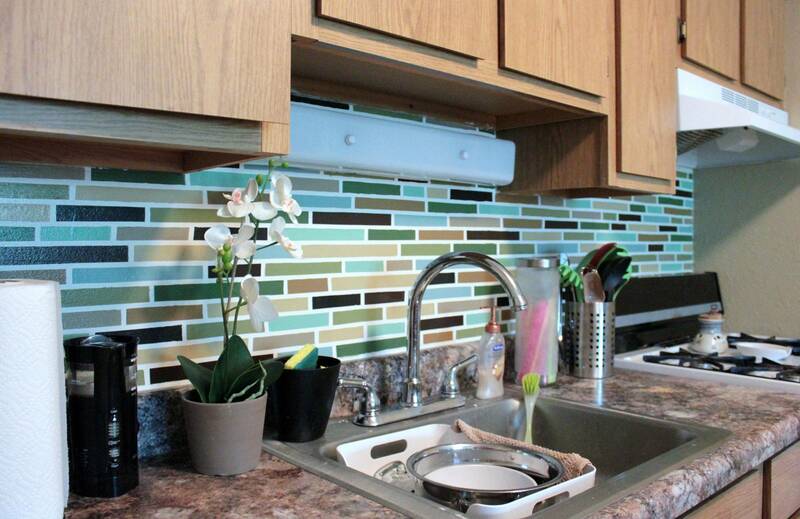 This unique and colorful backsplash is made of painted peel-and-stick tile. To make the project removable and renter-friendly, you can stick the painted tiles onto a panel cut to size, instead. And, use removable Velcro strips to keep the panels in place! I am beyond obsessed with all things copper, which led me to discover these amazing copper sheet rolls on Amazon. I used them to create a magnetic copper inspiration board, and have been itching to recreate the project on a larger scale. Can you imagine a brilliant, shiny, patina-rich copper backsplash in your rental kitchen? It would be totally renter-friendly if you applied the copper sheet rolls onto a board attached to the wall. 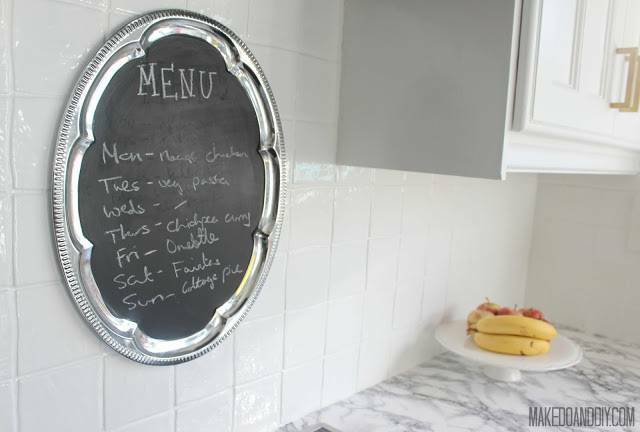 You can adapt the same idea using tin tiles from the hardware store, as the DIY Network did here. Shiplap is having a major moment, and the panel trick can make this stylish look possible in a rental too. Just use the tutorial from A Beautiful Mess, but combine it with Door Sixteen's panel backsplash. 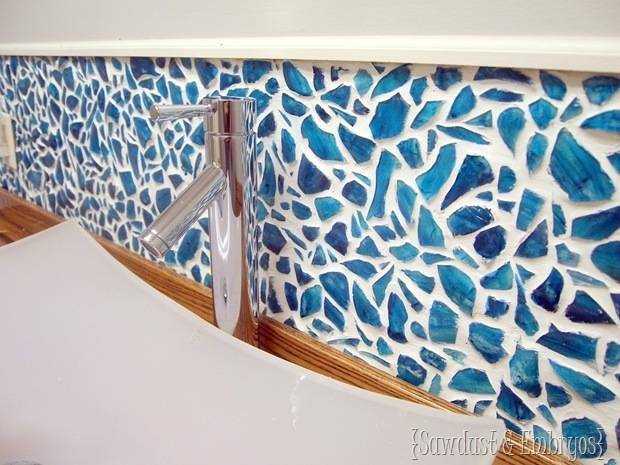 Or, go totally wild and create a custom mosaic backsplash! 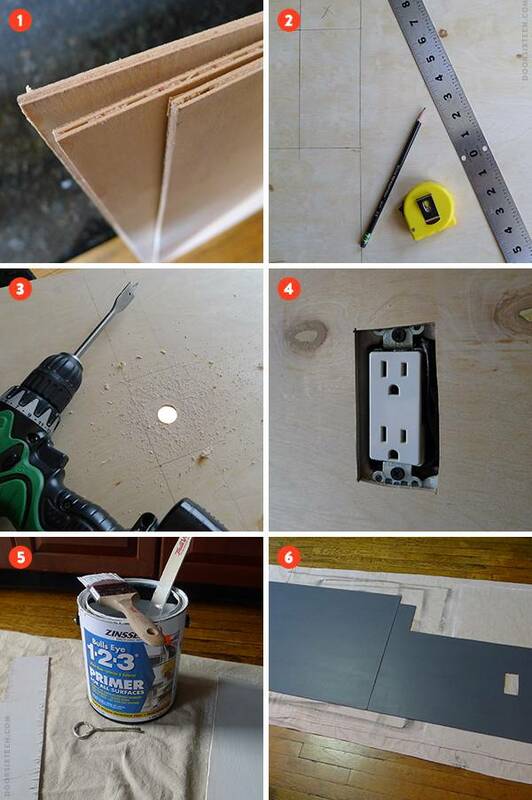 If you make the mosaic on a single, smaller board, such as for just behind the sink or stove, you can even take the project with you for your next rental kitchen. Don't forget to share these ideas on Pinterest! Alright, DIYers, I want to hear about your own rental kitchens. Do you have an eyesore apartment backsplash that's in need of some love? 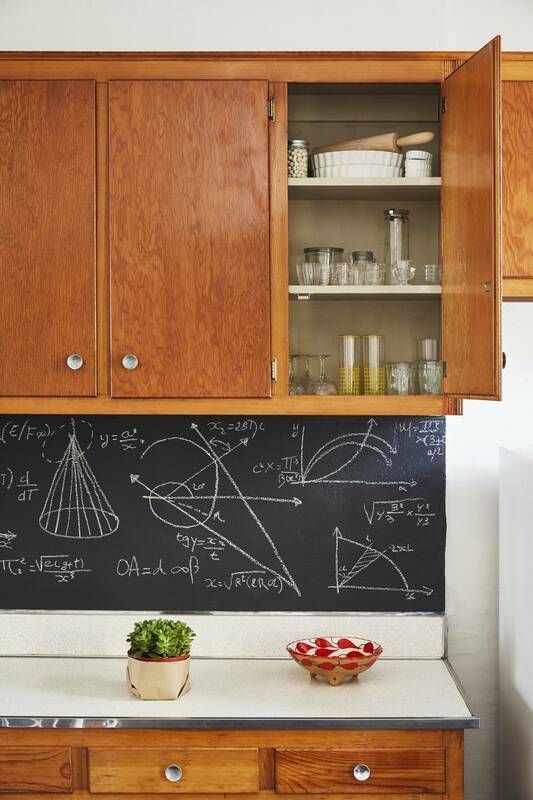 Would you try one of these temporary DIY backsplash ideas? We'd love to hear your thoughts and stories in the comments! 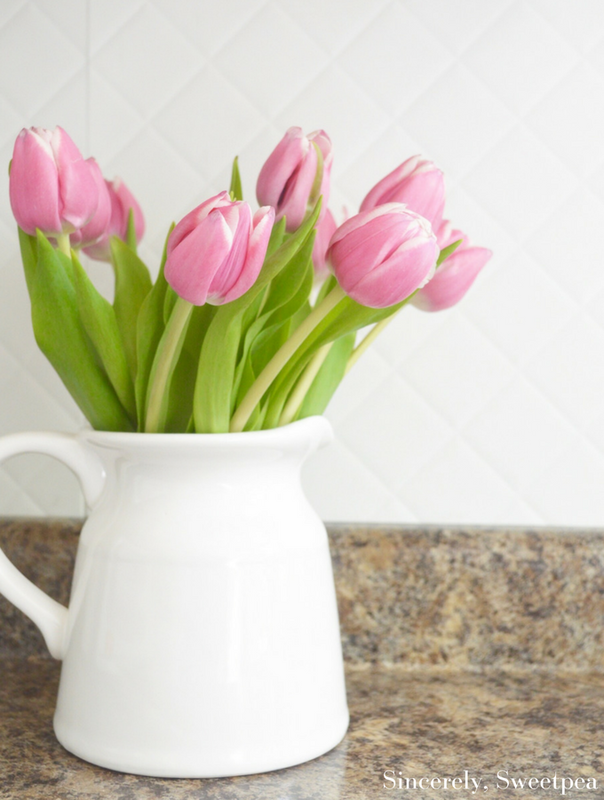 Craving more ideas to turn your rental into a home you can love? Check out these other posts!